In 1995 the APOLA Board of Education, Training, Examination and Awards identified POL Award Levels 1- 3 (and as well as Levels 4-5) with Level 1 being the entry level trainee comprising minimum medical and practical skills, Level 2 being the level expected of regular casual and seasonal employees comprising medical and practical skills with substantive work experience, and Level 3 comprising advanced medical and practical skills with additional substantive work experience expected ofocean lifeguards seeking permanent employment. With advent and subsequent ongoing revisions of numerous training packages in outdoor recreation, health, public safety and local government, the APOLA POL Level 1-4 awards were mapped against these training packages such that identification of specific units of competency for each of the POL Levels 1-4 matched appropriate content to incorporate advancing standards including common use of once relatively expensive equipment such as portable automatic external defibrillators (AED) and power-craft (jet skis) with rescue sleds. 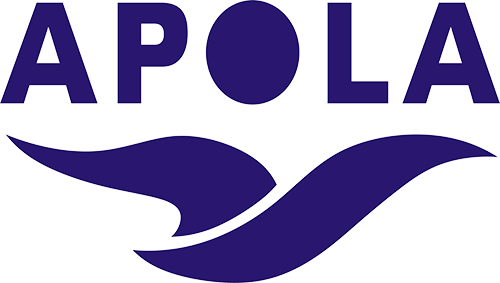 Although the long established APOLA POL Level 1-4 Awards remain as a stand alone and well-accepted ‘industry standard’ across local government as identified in government publications such as the Department of Local Government NSW Practice Note No. 15 Water Safety (a guide to assist Councils to carry out their water safety functions and responsibilities in public places including public swimming pools and beaches), APOLA POL Level 1-4 awards very much reflect content found within the most recent revisions of units of competency found in the public safety, health and local government training packages. Content (specific units of competency) from these Certificate III and Certificate IV qualifications have been identified as specific ‘skill sets’ for APOLA POL Levels 1 – 4. As the following indicates specific combinations units of competency (‘skill sets’) for APOLA POL Levels 1 and Level 2 can be issued as statements of attainment by the registered training organisation with POL Level 3 comprising the specified ‘skill sets’ providing for the registered training organisation to issue a Certificate III qualification (either Certificate III Public Safety (Aquatic Search and Rescue) or Certificate III in Local Government (comprising units recommended by industry). Please note that during an interim period (until all Councils specify minimum requirements in terms of specific sets units of competency or industry/government set a yet to be decided date for compliance), POL Level 1 and POL Level 2 may not always comprise all of the units of competency (‘skill sets’) specified in that shown below.